Nice one, you got the coma and a bit of the tail, too. Now's indeed the best time to see it, it's both high up and right about at its predicted peak brightness, at ~4th magnitude. I have the comet right at the edge of the frame in one of my image stacks, so I was able to bring out a little bit more of the tail. There are some truly beautiful pictures of it in the spaceweather gallery as well. 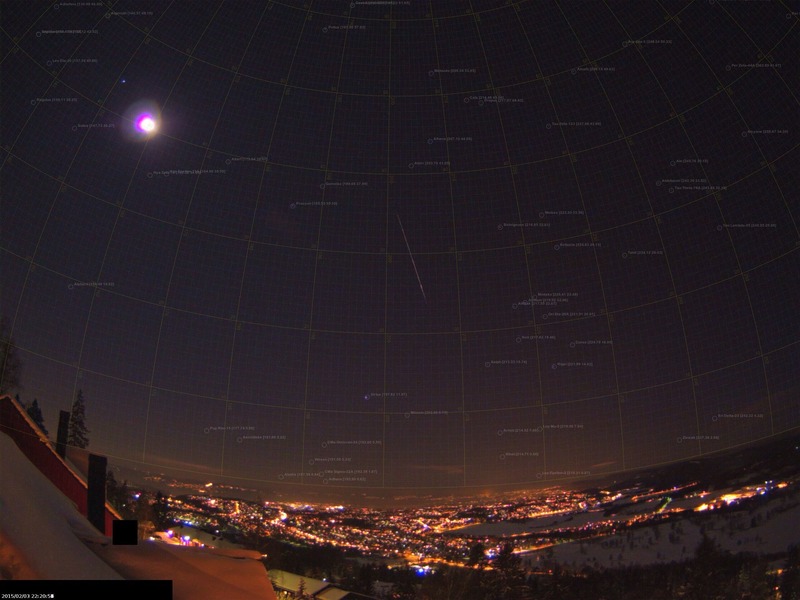 How does the comet look to the unaided eye? As a fuzzy point of light I assume? I have not yet seen it with the naked eye, but it probably looks like no more than a very dim fuzzy point. Now that's a very nice one of it. How long were your exposures? Hi! 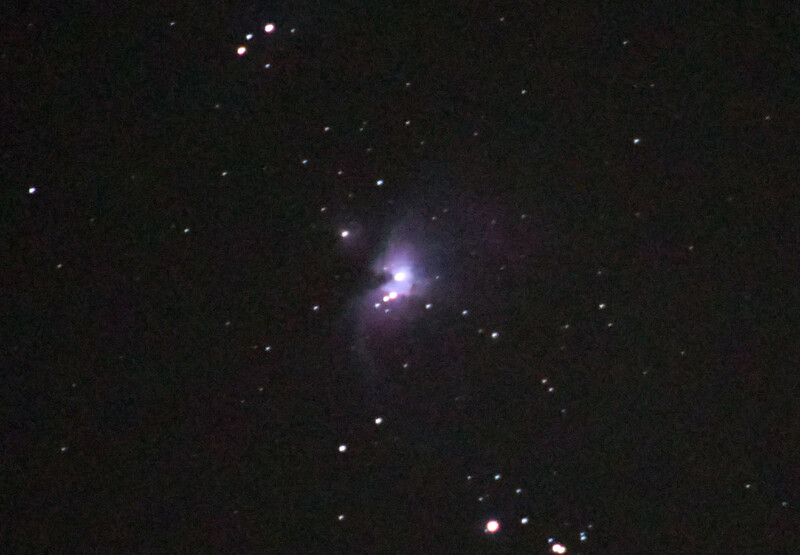 I want to start experimenting with astrophotography. I have a Nikon Coolpix P100, but I think it's not the best camera for this. I already took some nice pictures of the moon, Jupiter and its moons... But what I really want it's to take pictures like those of comet Lovejoy! Of course that's out of my budget, but I would like some advices! How long were your exposures? 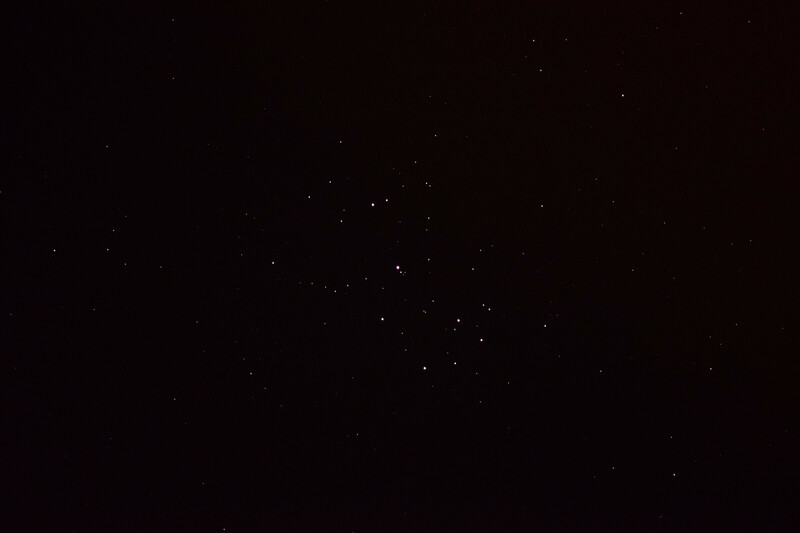 The first one is a mosaic 67x6s F/2.0 ISO-1600 58mm shot with a Helios 44-2, untracked. Green comets are not very rare. 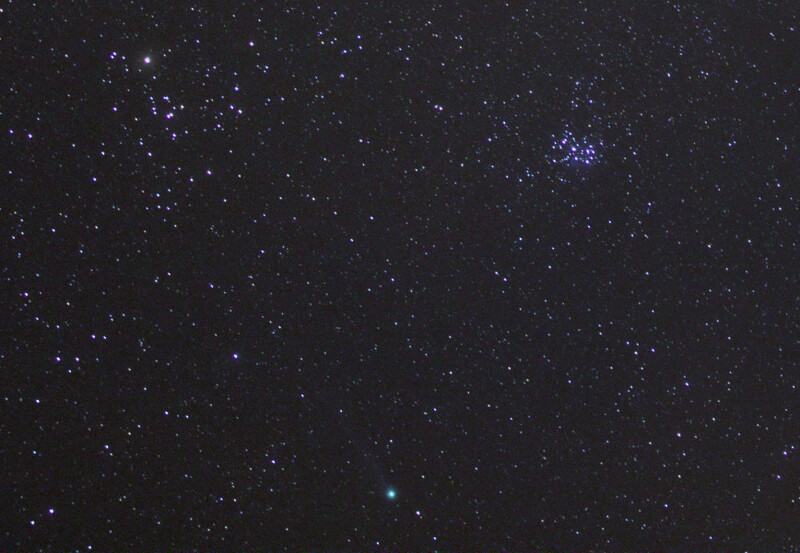 The relatively recent comet Lemmon was also green. It's primarily caused by fluorescing diatomic carbon (C2). A lot of astronomy sites claim that CN (Cyanogen) also causes the green color, though I am pretty sure that this is wrong since all academic sources I can find indicate that CN doesn't have significant lines in the green part of the spectrum. As Harb says, such comets aren't all that rare. You can also see them in Space Engine. pzampella, I don't know how much manual control that camera gives you, but check the manual and see what functions will allow for high ISO, long shutter speed, and large aperture (small f/number). It might be either a custom program setting, or some nightscape mode. 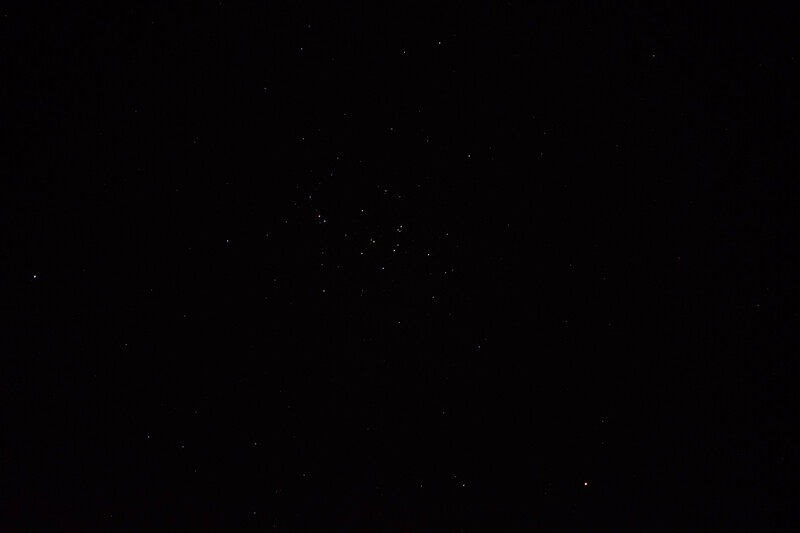 It is sometimes possible to capture (at least somewhat) the Milky Way with a point and shoot camera, but you'll need to be far from light pollution. A tripod will also be very helpful, or else something solid that you can rest the camera on at any angle. Use a shutter timer if you can, to minimize camera shake. As for small faint objects, like comets, galaxies, and nebulae, you're probably not going to get great results except in the largest and brightest cases. E.g. 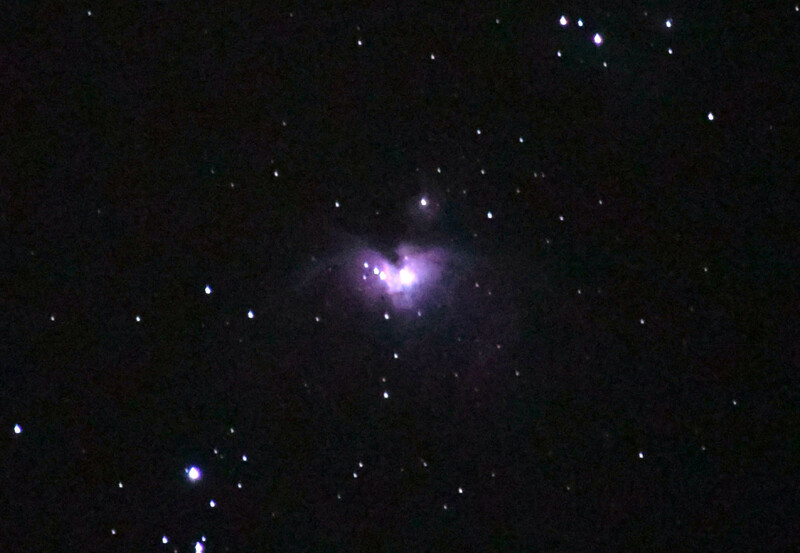 the Orion Nebula. Try it out on bright objects like that before going on to the fainter things. Today, I got a Nikon D5300 with a 300mm lens and naturally the first thing to do was take pictures of the sky. This went through heavy color correction and noise reduction. It's beautiful, very nice job! My place has too much light pollution. 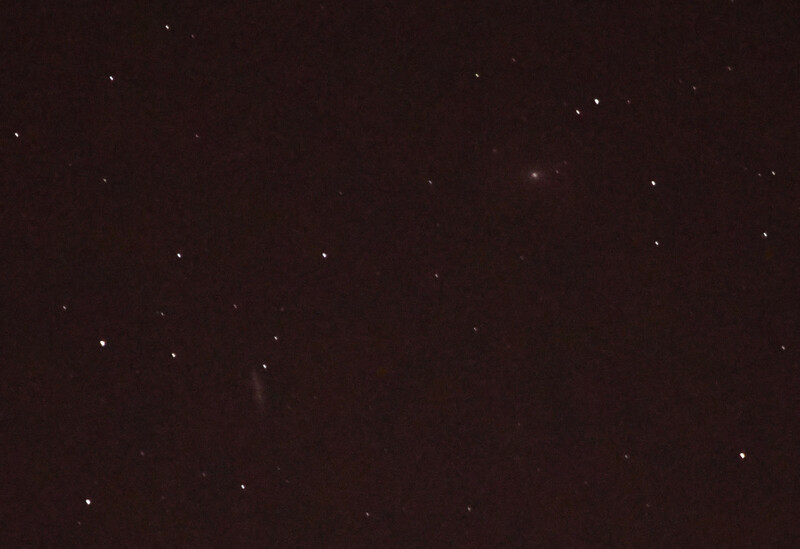 I tried Andromeda but the lens flaring from lights is too much. Gonna try again tomorrow. Love messing with the camera, though, even though I can hardly resolve anything yet.